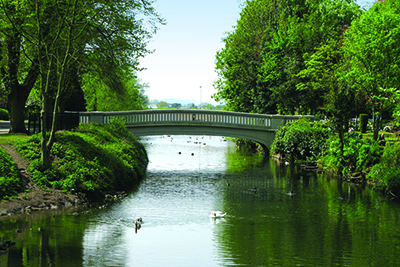 Overlooked by Tamworth Castle, the Pleasure Grounds have beautiful floral terraces dropping down to the banks of the River Anker and open grassland - ideal for walks and picnics in the summer. The bandstand is located at the top of the terracing under the Castle, which plays host in the summer to a series of free concerts, sponsored by Ankerside Shopping Centre. 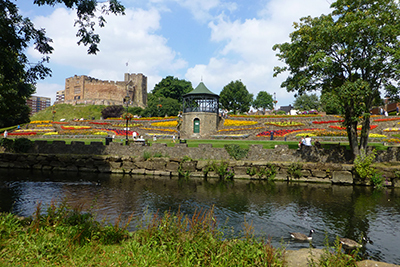 Combined with a visit to Tamworth Castle, the facilities in the grounds are excellent for families with an extensive adventure play area for children, a cafe, river walks and one of the highest standard public bowls greens in the Midlands. 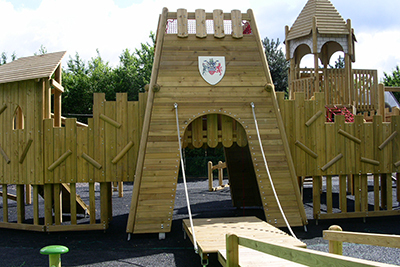 Castle Grounds facilities include: Children's playground, cafe, crazy golf, cycle hire, flat green bowling, outdoor gym, the planet walk, skate park, tennis courts, toilets. In addition, they will be open from 8am - 5pm all week during the summer holidays. There are also toilet facilities within Ankerside Shopping Centre (next to the Castle Grounds) during their opening hours. Hire your cycles from Dave Owen Cycles based in the Activity Centre in the Castle Grounds. Open 10am to 5pm daily 7 days a week. Helmets also available to hire. Cycles and skateboards available to purchase. Full cycle maintenance and accessories available. Come and enjoy a nine-hole round of crazy golf. 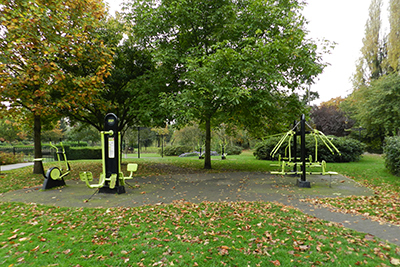 The course is situated to the rear of the Castle Grounds Activity Centre (Old Castle swimming baths) in the Castle Grounds. Clubs and golf balls are available to hire from Dave Owen Cycles in the Castle Grounds Activity Centre. Open 7 days a week from 9am. Come and enjoy a leisurely game of Flat Green Bowls on our expertly kept green. Open 12.00 noon until dusk Monday to Sunday. Available to hire by the hour, with all court bookings starting on the hour. 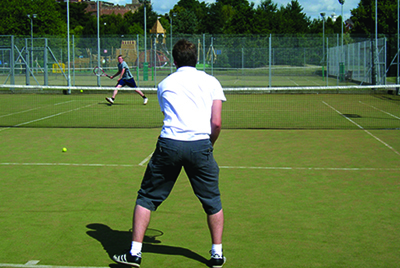 Booked courts may be re-let if not claimed within the first five minutes of booked playing time and last game will be let out one hour before closing. 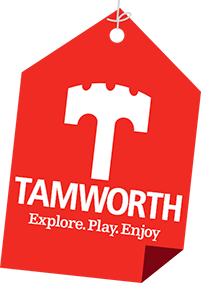 There is a state-of-the-art skate park in Tamworth Castle Grounds, which has been extremely well received by skateboarders, in-liners and BMX riders. The park is so good that British professional skaters have been sighted enjoying the park on numerous occasions. 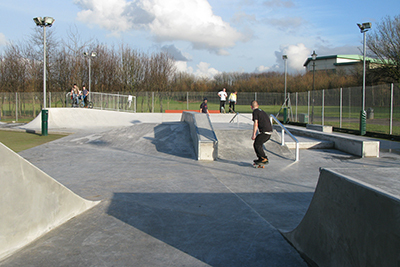 The park has a varied layout with some contemporary skatepark features including a 4ft tall 20ft wide mini ramp and the extremely popular Westminster hip, as well as some street style ledges rails and many pads.